Question: I booted Ubuntu into recovery mode to fix a configuration file, but I noticed that the root filesystem is mounted as read-only. How can I remount a filesystem as "read-write" in Ubuntu recovery mode? 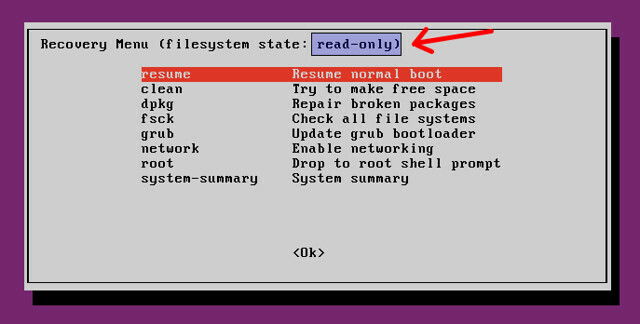 When you enter a recovery mode in Ubuntu, the root filesystem gets mounted as "ready-only" by default, not allowing you to update or recover any file in the root file system. You can actually remount a filesystem as read-write on-the-fly by using mount command. Can see it doesn't work for me. What I have done is.